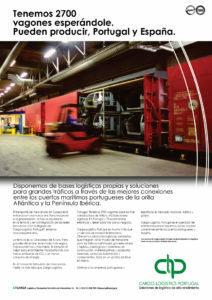 The strategy and campaign to launch Cargo-Logistics Portugal, a brand of CP Carga SA, were developed by Hamlet. It’s simple: to help you achieve your marketing objectives, we do whatever it takes. From the analysis of your market and identification of the issues to be resolved, Hamlet recommends the best tools: from direct marketing to events, from webmarketing to public relations, from advertising to customer loyalty. Everything to generate maximum results, with a return on every penny of your investment. Do you need to promote your brand among companies and professionals? Talk to Hamlet.